Privacy Package: This package will help you get rid of privacy divulgence risks and give you full-scale online and offline protection in real time. Auto Hide IP: Surf anonymously, protect your identity, and guard against hackers. Auto Clear Cookies: Remove all cookies with one click. Auto Clear History: Remove all traces of your online and offline activities easily. Change IP address every X minute(s) at your wish. 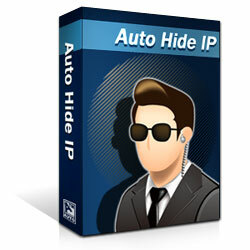 * Auto Hide IP can be installed and used on only one computer exclusively by the user who purchased the license.